Another happy customer from Bimmer-Tech. Last weekend received my package from Poland. The CIC retro is a mod I wanted to do for quite some time. It took some time to make the final decision, as it's not the cheapest mod and I wasn't sure it would be so simple to install. I've reviewed most postings and experiences of other ppl doing the retrofit and read quite positive feedback about Patryk and Bimmer-Tech. So I decided to go with Patryk, after he answered all my questions and doubts...The good thing about Patryk is that usually he replies lightning fast and with clear answers. Friday received a big package from DHL, with the complete contents (as described on their site), well-packed. Installation was actually not that hard. 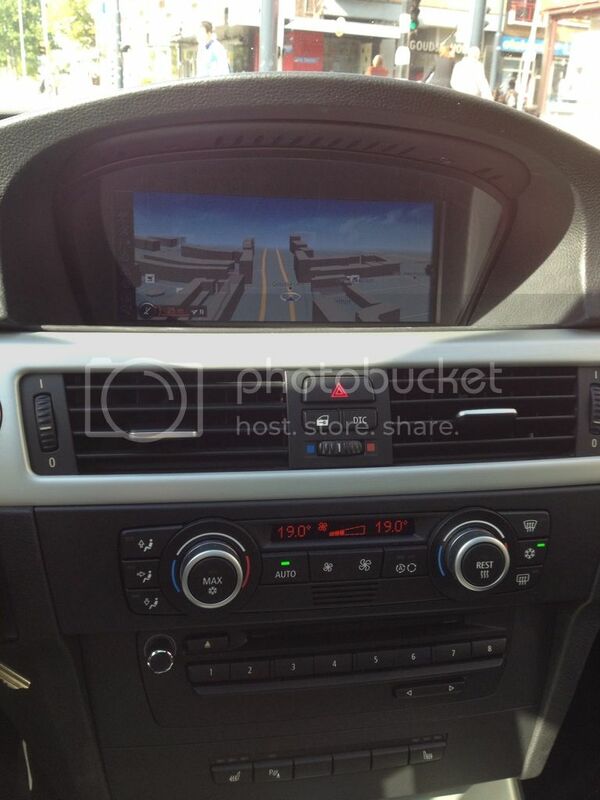 My car is 2007 E91 330d, with Navigation Professional, Bluetooth, USB (option 6FL) and Hifi sound (option 676). I use the BMW Y-cable to integrate my iPod. After about 2-3 hours I got my CCC replaced with the new CIC. Missed one important thing, forgot to move the optical cables from the original harness to the PnP harness. So had to disassemble things again but in the end that was easy to fix. Patryk then started to code my car. We had some issues with my pc, but after I changed to another laptop coding went really smooth and was finished in a breeze. All functions are supposed to work, and they do - Bluetooth, iPod via the existing Y-cable, sound, navigation... like it was factory fitted! Took my time to check this and only found DVD not working, which Patryk was able to fix that same night. Overall very pleased with the retrofit and the Bimmer-Tech support. Very nice. I would like to do this for my car. I know your in Holland, but how much did it cost? The retrofit was 1800 euro. I went with hardware PnP activation method, as this was the most budget-friendly option. Do you work with anyone in South Florida? Very Clean install, looks OEM. Yes, we have an installer in Ft. Lauderdale, FL. Does he have a Store? somewhere that I can drive and see the Equipment from up close and get pricing? I'm hoping to pickup a nice E93 as a 'fun/weekend' ride. And that one will need the combox ;-) We'll be in touch Patryk! No, I do not have a store. This is exclusively an installation facility; you bring the equipment and then it will be installed. The closest one for you would be in Newcastle Upon Tyne. I wanted to share my recent CIC/Combox retrofit that I recently completed... successfully with thanks to Patryk & Eugene from Bimmer-Tech! I have a 2007 E93 335i and like many people on this forum was prompted to make the CIC upgrade as I was tired of my android smartphone not connecting to the Bluetooth, old/low resolution navigation maps and no USB port!!! Not knowing a whole lot about it I went to my first source for all purchases...eBay. That was my first big mistake! I very quickly found many emulator based CIC Plug & Play packages that claimed to come coded and ready for simple installation. I found one that looked to be the right price and made a bid, however before making the bid I sent to the link to my mechanic and asked would he be able to do the installation for me... I was told not a problem so I ordered the kit and it arrived the next week. My mechanic was confident he could install it within a day and would charge $400, so I dropped it off on a Friday morning and planned to pick it up in the afternoon. Well 7pm that night came and I got a call from the mechanic saying he needed some more time and he would have it back Saturday. Saturday came and went and then so did Monday, Tuesday, Wednesday and Thursday. Completely frustrated I went to see the mechanic on the Thursday (after many emails/calls between myself, the eBay seller and the mechanic) and he told me he had spoken to all his contacts and no matter what he did he couldn't get the logic7 sound, TV or CD changer to work. The eBay seller also couldn't help and sent us down the wrong path as he suggested the problem may be a faulty/incorrect pin out. Friday night came and my mechanic finally came clean with me and told me he actually had only done a CCC conversion before and was out of ideas. I was then totally frustrated and went to the forums and that is where I saw Patryk's posts and found the bimmer-tech website. With nothing to lose I gave Patryk a call and explained my situation. At first Patryk was a little reluctant to help as I had not purchased the system from him (rightly so). However after some discussion Patryk thankfully took pity on my situation and we agreed on a price to fix my problem. I went and picked my car up from the Mechanic on the Saturday ($600 later) and borrowed his OPS and laptop and made a time for Eugene, one of Patryk's techs too remotely log in and fix the problem. That night after installing the correct software on the laptop he was then able to log into the OPS machine and within 20 minutes everything was WORKING!!! It was a great feeling of relief, especially after a week of having no car and thinking that i had just wasted a lot of time and money! So a BIG THANKS to Patryk for helping me in my time of need! Since then I have purchased the Combox upgrade from Bimmer-Tech and installed it myself and had Eugene do the coding remotely via my own laptop and a D-KAN cable. The CIC + Combox upgrade makes a huge difference and had made the drive to and from work everyday much more enjoyable, so I would recommend it to anyone thinking of doing it! However if you are thinking of doing it then you should only go to one place and that is Bimmer-Tech and get it done right, the first time! i have a 2008 e92 m3, can you pm me the info for the installer in southern california and the cost to do this? i currently only have the CCC in my car.